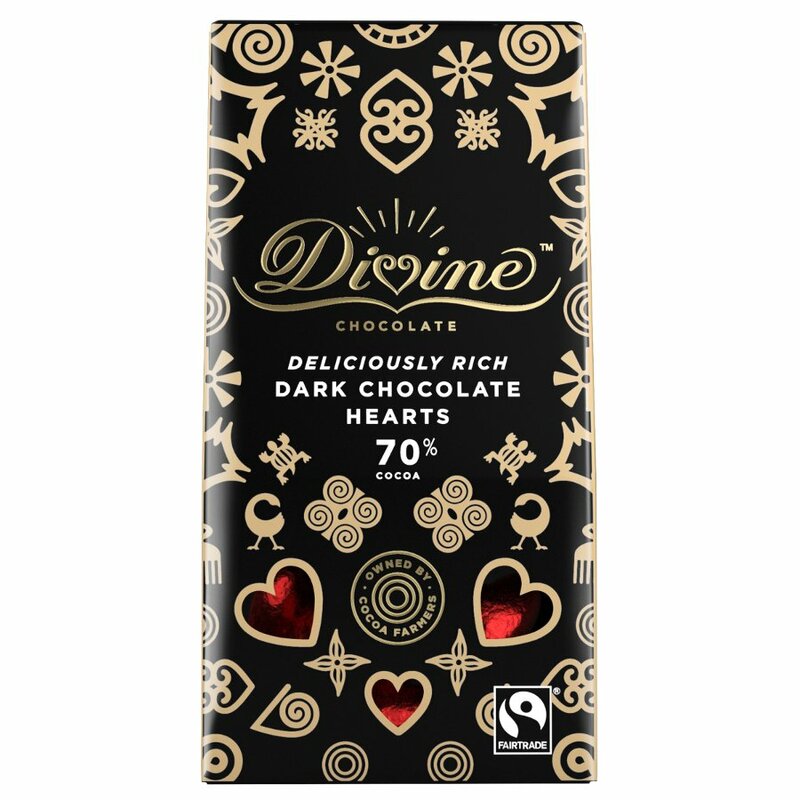 Make every day special for your loved one with these 70% cocoa, solid dark chocolate hearts. Hand wrapped in red foil and beautifully presented to make the perfect gift. Fairtrade cocoa mass, sugar, Fairtrade cocoa butter, emulsifier: Sunflower lecithin, real vanilla. Warning: May contain traces of milk, nuts and gluten. 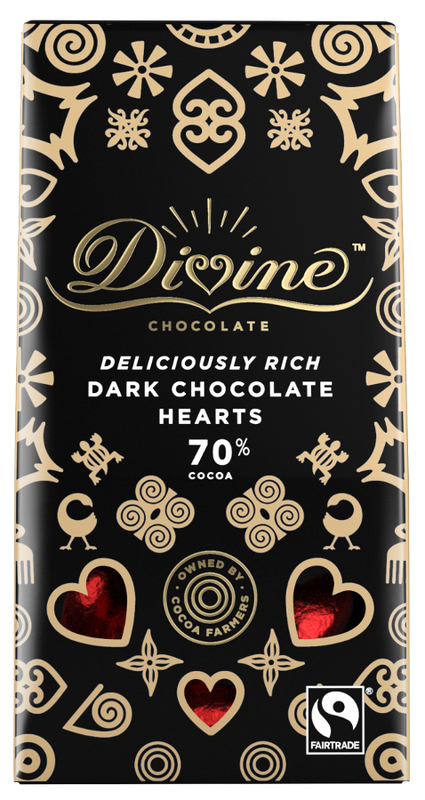 There are currently no questions to display about Divine 70% Dark Chocolate Hearts - 80g.